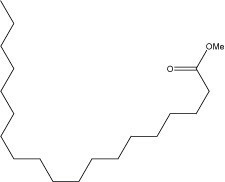 This product is a high purity methyl ester fatty acid and is ideal as a gas chromatography standard. 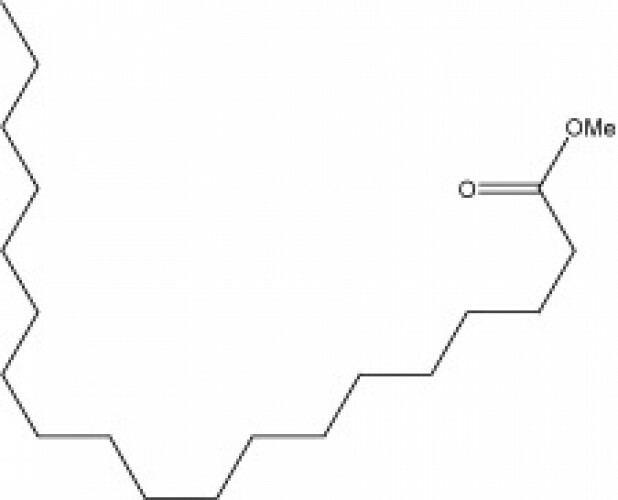 This odd numbered longchain fatty acid is unusual in most biological systems and is therefore often useful as an internal standard.1 This fatty acid is used by insects as a pheromone such as in the secretions of some termites2. It is found in very small amounts in some cooking fats and oils3 and in trace amounts in milk4. It exhibits inhibitory effects on fibrinolysis and plasmin activity and it has been reported to have biological functions as an anti-tumor agent and the ability to inhibit IL-12 production.